Fall Classes start August 6, 2015 Openings available in all beginner classes. 5:30 pm - 6:30 New Beginners Enrollment available all year. Openings available in beginner classes. 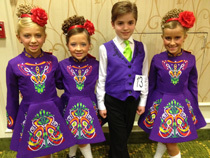 Openings available in beginner children and adult classes. Class schedules may change. Please call for current class day/times.